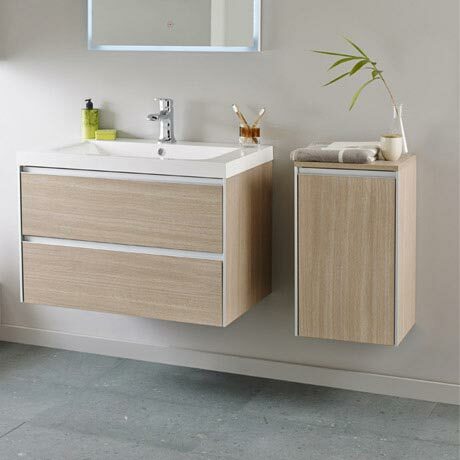 The luxury Erin light oak furniture pack comprises of a 800mm cabinet with basin and a 350mm side cabinet. Give your bathroom a designer look with this minimalist furniture pack combining stylish looks with practicality. Guaranteed by Hudson Reed for 5 years.